Dresses are my second skin. I wear printed midis almost every day of the week. I own almost 30 dresses, and they're the one thing in my wardrobe I choose to invest in, as they're a ready-made outfit that'll work for any occasion. This season, there are four dress trends that I'm particularly excited about. Trust me—these are the new-season trends that are worth investing in. First up, we have animal-print dresses. I never usually wear leopard print, but I have bought a maxi from ASOS and a pink leopard button-front dress from Ghost. Next up, I'm into checked dresses, from colourful grid prints to gingham tiny prints, you'll find these dresses all over the high street. The last dress I bought was an autumnal leaf-print dress by Stine Goya, but & Other Stories, Mango and Ganni also have plenty of autumnal dresses you can wear now with sandals and in December with boots. And finally, the polka-dot dress keeps being reinvented every season and continues to be one of my favourite dress trends. I'm not usually one for animal print, but even I've been tempted by this season's wilder dresses. This Ghost bright pink dress has quickly become one of my favourites in my collection. Polka dots have seemed unbeatable, but there's another print that is about to become just as popular: checks. The pattern has long been an autumn staple, and for autumn/winter 2018, they've been given a makeover in bright colours. "Traditional checks have been at the forefront of the trends for several seasons," says Lisa Aiken, Net-a-Porter's retail fashion director. "Our more directional brands have experimented with colour to give our woman a reason to buy new." This summer, it was all about pretty pastels, but this season, there has been a shift towards the colours you'd see covering the grass of any park. Think rusts, conker browns, yellows and deep reds. 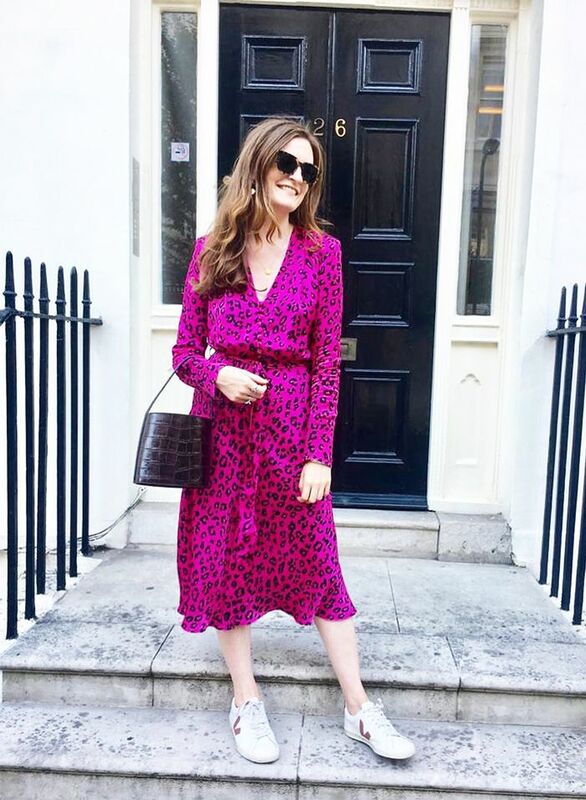 Polka-dot dresses remain really popular, and I always wear my Nanushka dress when I want a really easy chic outfit that makes me feel instantly put together. The MSGM green silk gown below proves that there really is a polka-dot dress for every single occasion.